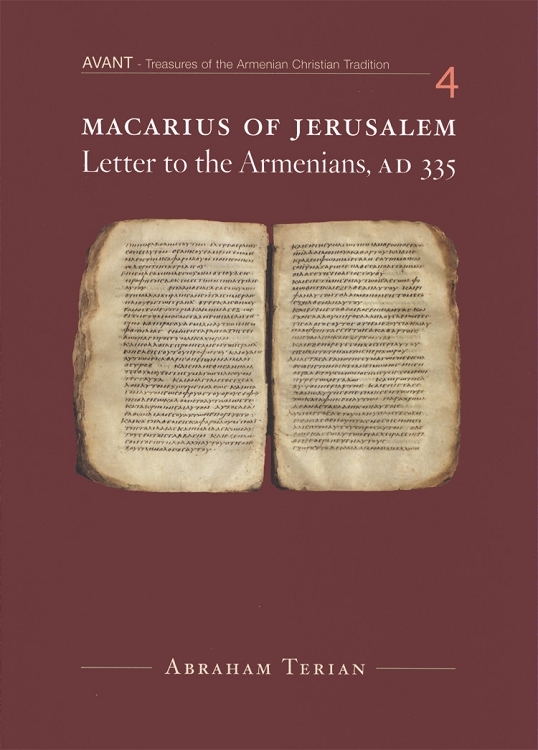 Macarius, bishop of Jerusalem in the early fourth century, was commissioned by Emperor Constantine to oversee the construction of the Church of the Holy Sepulcher. As host to a large gathering of bishops from every city, Macarius draws on local tradition in his response to queries by the nascent Armenian Church regarding baptism and the Eucharist. His Letter to the Armenians, addressed to Vrtanes--elder son and second successor to St. Gregory the Illuminator as head of the Armenian Church--reveals much about the nature of the pre-Nicene Armenian Christianity and its affinities with the East Syrian baptismal and eucharistic tradition. This letter belongs to a decisively formative period in the history of the church in Armenia when ritual observances were not yet codified. Terian's study goes beyond establishing the authorship and date of this early document. It highlights the document's place in the baptismal and Eucharistic liturgy of Jerusalem prior to St. Cyril of Jerusalem's Catechetical Lectures and the travel diary of the nun Egeria later in the fourth century.